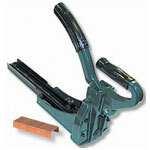 The Josef Kihlberg model JK20T777 series stapler is an excellent pnuematic plier stapler. 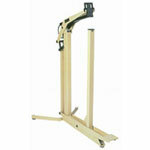 Used for the rapid assembly of corrugated trays and box sidewalls this tool has a proven track record. 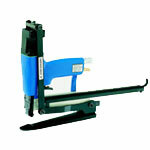 Some users prefer the lighter frame model 777 stapler over the Stanley Bostitch P50-10B plier stapler. 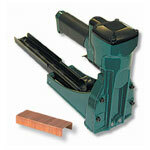 The JK 777 stapler uses a medium crown staple to secure the closure. 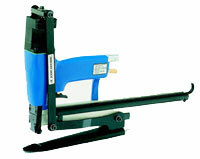 Josef Kihlberg (JK) is a manufacturer located in the European Union that has created an excellent line of carton staplers with worldwide demand. 102227 Plier Staples - Josef Kihlberg (JK) 777 Staples, 777-12, 1/2"
102226 Plier Staples - Josef Kihlberg (JK) 777 Staples, 777-10, 3/8"
102228 Plier Staples - Josef Kihlberg (JK) 777 Staples, 777-16, 5/8"